Autoglym LifeShine provides the ultimate paintwork and upholstery protection. Carbon Shield Technology fuses liquid carbon to vehicle paintwork to create an impenetrable against harsh contaminants and weather conditions. Your car needs protection and care from day one as it's condition can have a significant influence on it's re-sale value. Special care is taken by trained technicians to prepare your car to the highest of standards and to ensure that both your investment and pleasure of ownership are properly safeguarded. From bumper to bumper, inside and out, the finest Autoglym treatments are used to prepare your new car for delivery to you in pristine and protected condition. 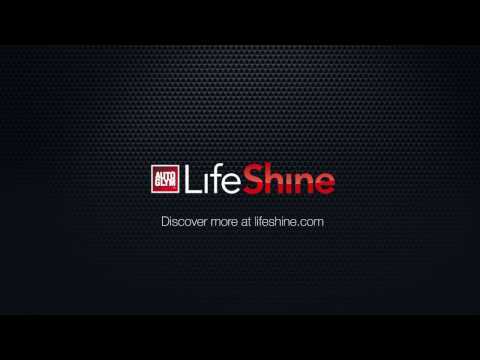 With LifeShine you can drive away from the showroom confidently knowing that the finest quality products have been used to protect your car. All exterior paintwork is treated with a unique protective coating which will enhance the paintwork shine and ensure maximum resistance to environmental hazards. The glossy water-repellent coating is easier to keep clean and maintains a superbly deep glossy shine. Upholstery (fabrics and leather) and carpets are treated with a durable waterproof coating to seal out moisture and resist staining. Accidental spillages simply bead on the surface, whilst dust and sticky marks are easily removed.